AirTunes is Apple’s breakthrough music networking technology which works seamlessly with iTunes running on either Macs or PCs to let users easily create a wireless music network in their home. iTunes 4.6 automatically detects remote speakers and displays them in a simple pop-up list for the user to select. Once the remote speakers are selected, AirTunes wirelessly streams the iTunes music from the computer to the AirPort Express base station. AirTunes music is encoded to protect it from theft while streaming across the wireless music network and uses Apple’s lossless compression technology to ensure no loss of sound quality. Shorty after the public release, I reverse engineered the AirTunes protocol and the key used to encrypt the audio stream and released JustePort, an open source AirTunes client. When Apple in 2010 released iOS 4.2 with support for sending video to the 2nd gen Apple TV, they renamed AirTunes to AirPlay. Since I co-founded doubleTwist a decade ago, we’ve been at the forefront of restoring digital media interoperability for users trapped in walled gardens. 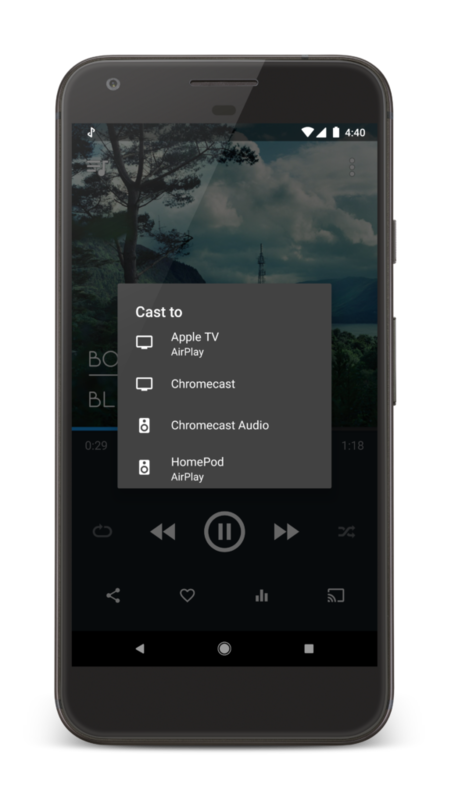 On Android we’ve supported AirPlay since 2011 and we currently support all three major protocols (AirPlay, Chromecast and DLNA). Whether you prefer to store your music locally or in a cloud service like OneDrive or Google Drive, we’ve got you covered with doubleTwist Player and CloudPlayer. Like many others, we’ve been eagerly awaiting the launch of Apple’s first AirPlay speaker. 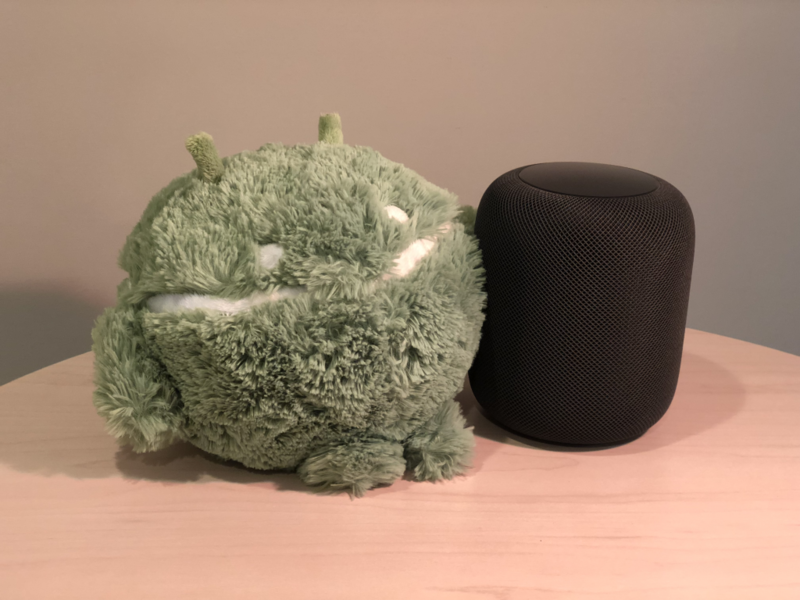 We got our hands on the HomePod today for some testing and everything works flawlessly. Anything you can play in the doubleTwist apps (local music, cloud music, podcasts, radio) can be streamed to the HomePod. Currently streaming my lossless music collection stored on Microsoft OneDrive to the Apple HomePod using my Google Pixel XL – sounds amazing!